Day 1: Arrive in Marrakech. Transfer to your hotel, dinner included. 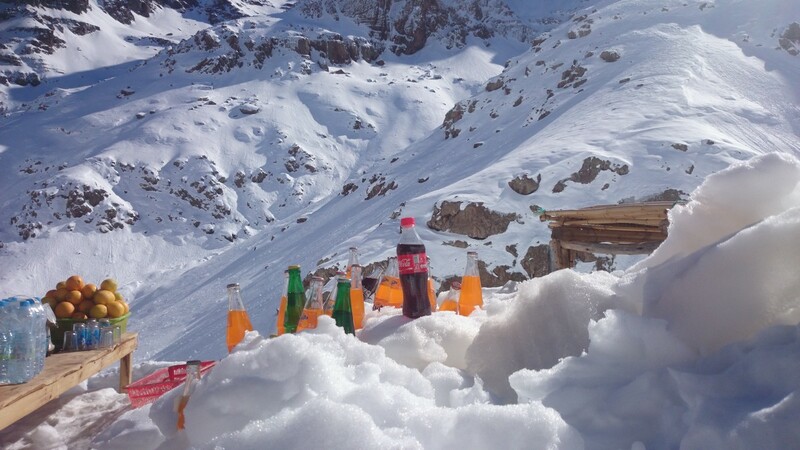 Spend night at Tiziane (1800m) in a camp or gite after 4 Hour 3Omins walking. Rise positive of 600m and negative of 300m. Camping at Tizgui’n Tikkent (2250m). 6 Hour walking. Rise positive of 1050m and negative of 250m. Day 4: Azib n Tikkent – Col Tougdalt (2700 m) – Azib n Tamsoult (2250m) camp. 6 Hour walking. Rise positive of 800m and negative of 900m. Day 5: Azib Tamsoult (2250m) – Col Mezzik – Imlil gite (1750m). 5 Hour walking. 5 Hour 30 mins ascent. 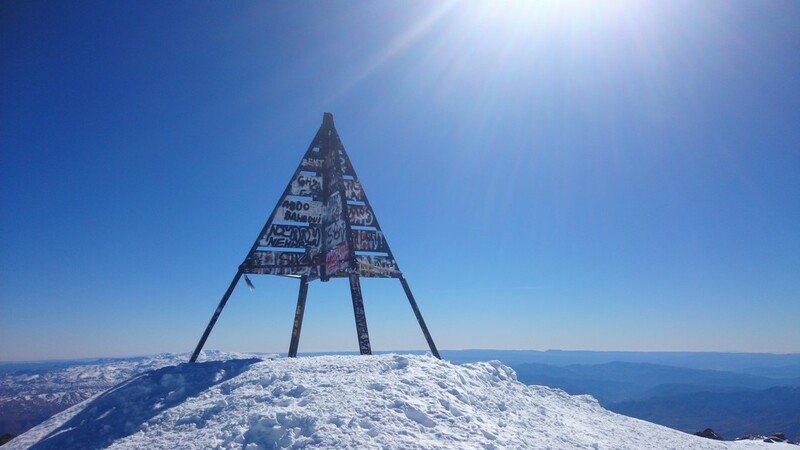 Rise positive of 1500m. 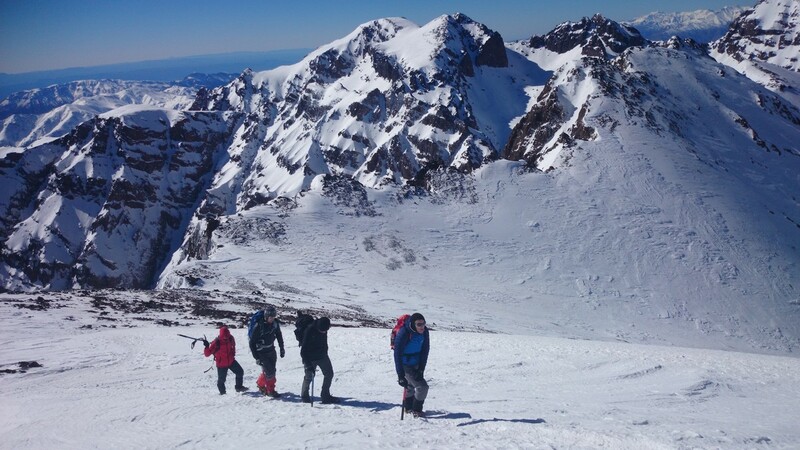 Day 7: Refuge Neltner – Summit Toubkal – back to refuge – Camp. 5 Hours Walking. Rise positive and negative of 1000m. Day 8: Refuge Neltner – Col Ounamous (3700m) – lac Ifni (2400m) – Camp. 6 Hours Walking. Rise positive of 500m and negative of 1350m. Day 9: Lac Ifni – Tissaldai – Taghbalout (2500m) – camp. 5 Hours 30 mins Walking. Rise positive of 850m and negative of 300m. 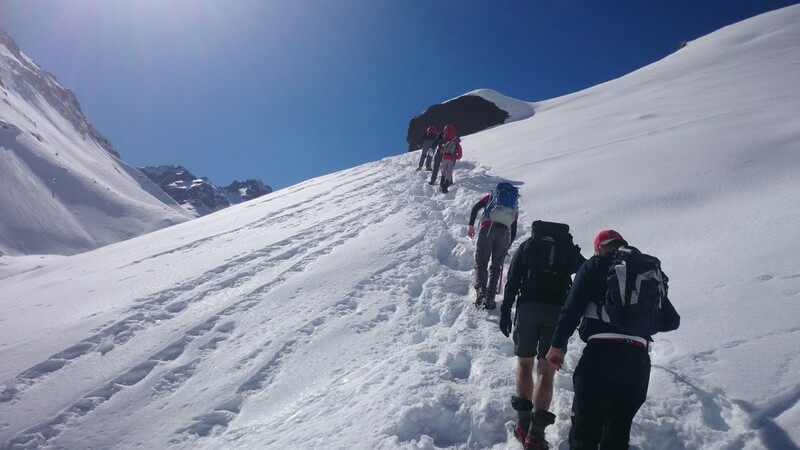 Day 10: Taghbalout – Col 2900m – Azib Likkemt – Camp (2600m). 6 Hours 30 mins Walking. Rise positive of 900m and negative of 800m. 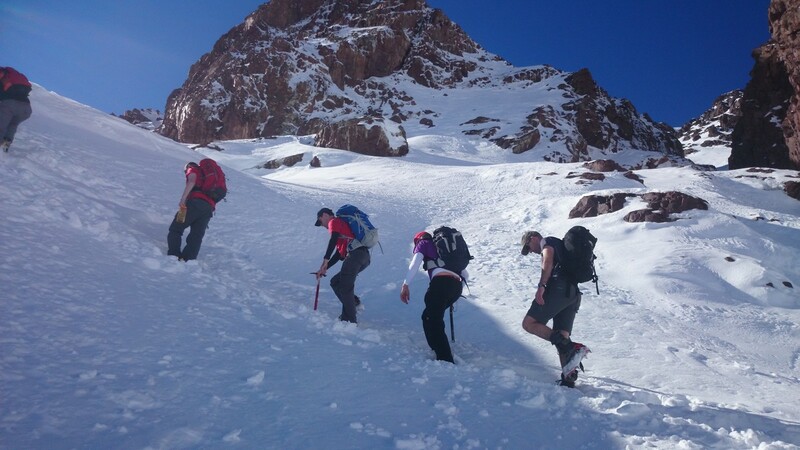 Day 11: Azib Likkemt (2600m) – Col Likkemt (3600m) – Camp Amagdoul (2300m). 6 Hours Walking. Rise positive of 1000m and negative of 1200m. 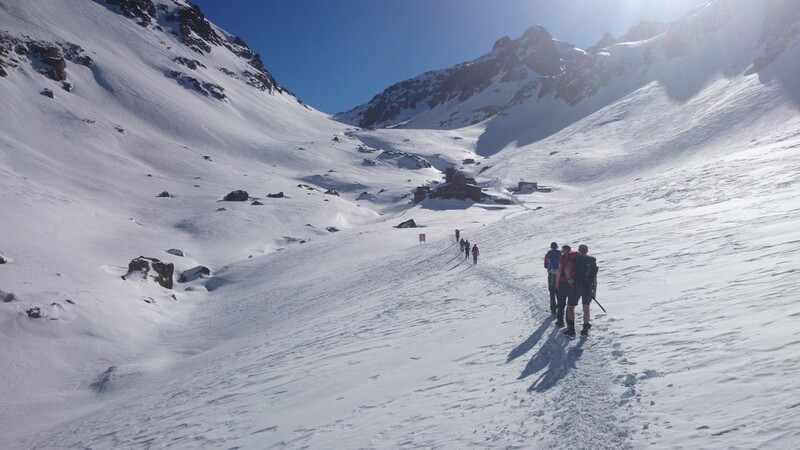 Day 12: Ousarou – Col Eddi (2900m) – Oukaimden (2600m) night at Ousertek (2100m). 5 Hours 30 mins Walking. Rise positive of 700m and negative of 900m. Day 13: Ousertek – Arg Imeskar – Imioughlad – end of the trek. 3 Hours 30 mins Walking. Rise positive of 300m and negative of 400m. Depending on your flight time, you may be able to spend your remaining Dirhams down at the Souk. Check out of the Hotel and transfer to the Airport.